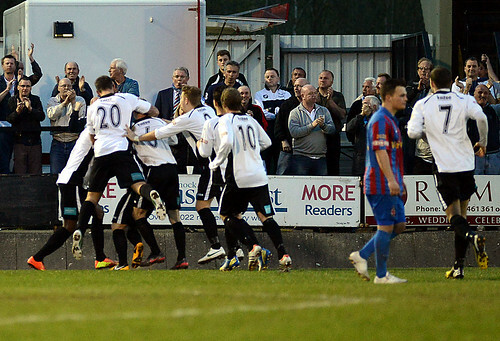 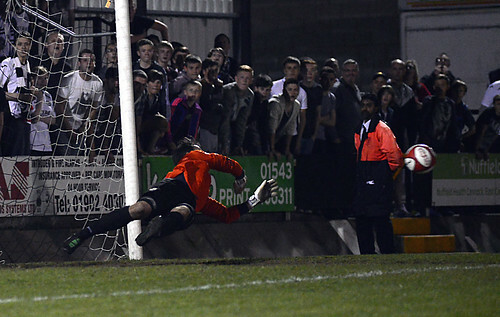 Hednesford Town reached the Evo-Stik Northern Premier Division Play Off Final in truly dramatic circumstances as goalkeeper Dan Crane saved two penalties in the shoot-out to break the hearts of AFC Fylde. 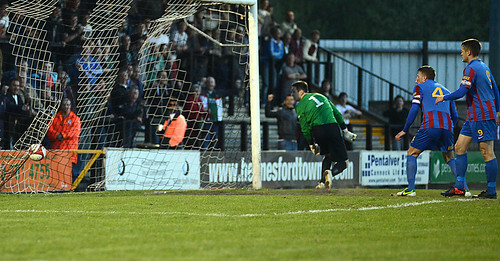 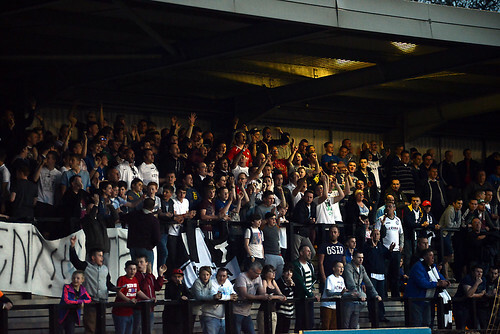 Words hardly begin to describe the most incident packed of games as 1360 fans packed a raucous Keys Park and the majority wildly celebrated a Hednesford victory which saw Crane gain sweet redemption after Fylde goalkeeper Ben Hinchcliffe levelled the scores at 2-2 in stoppage time with a long ball from inside his own half. 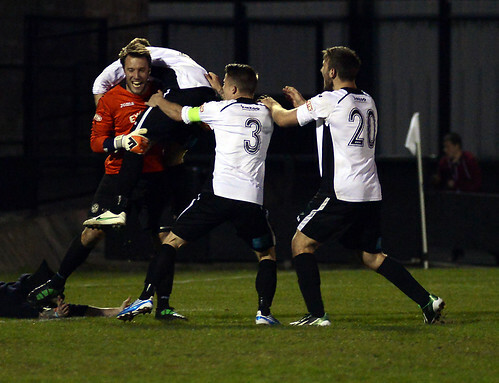 Elliott Durrell, John Disney and Kris Taylor converted their penalties in the shoot out but Crane was the hero, saving two spot kicks from Adam Farrell and Adam Sumner to secure The Pitmen a route to the final against FC United of Manchester on Saturday afternoon. 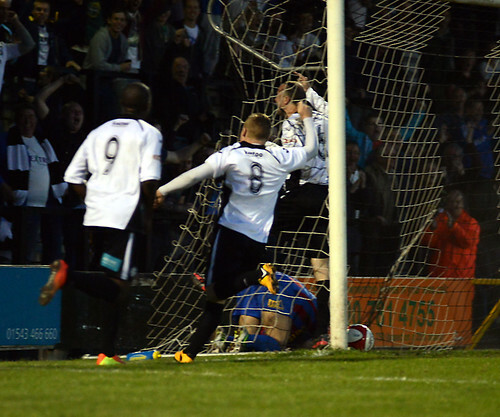 Fylde took the lead on 24 minutes through Matthew Blinkhorn but a rousing second half performance by Hednesford turned the tables with Durrell and MacPherson both scoring to seemingly win the match for The Pitmen. 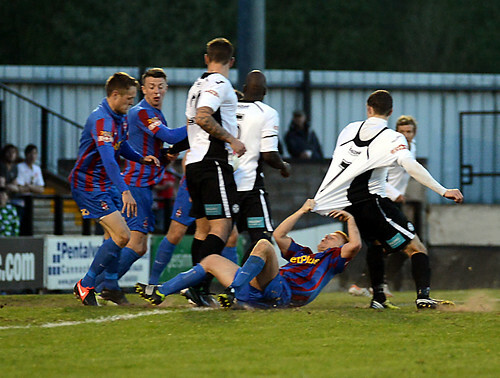 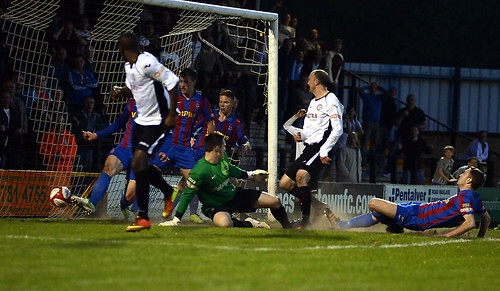 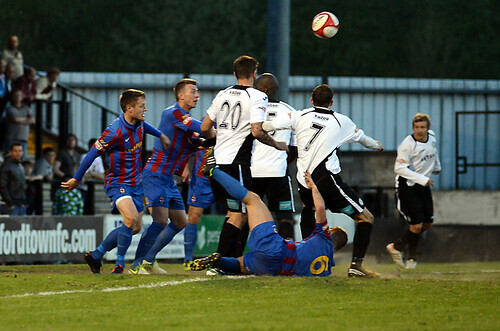 There were dramatic scenes as Hinchcliffe equalised in the final seconds of normal time before Durrell coverted a penalty on 98 minutes to give the home side the lead and, after Fylde twice hit the woodwork, Farrell equalised on 105 minutes to send the game to an astonishing penalty shoot out. 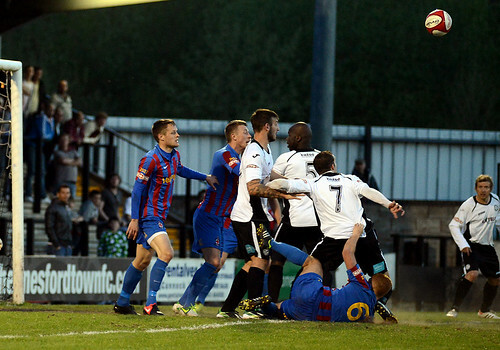 Rob Smith’s side, so dominant in the regular season, held their nerve in the most glorious fashion to win a match which will live long in the memory of all those who witnessed it.